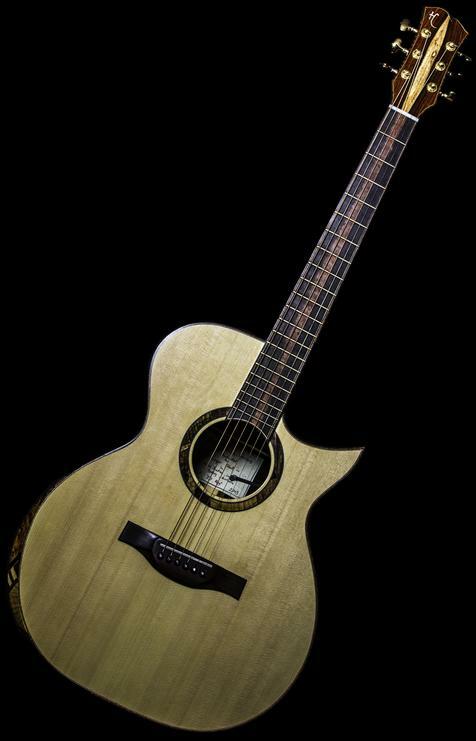 Each instrument uses the finest Master grade tonewoods available, with every aspect meticulously bound in wood, framed in fine purfling lines and expertly mitered. Only the stiffest, lightest tops are used with each being individually assessed, thicknessed, braced, carved and voiced for piano like responsiveness, a long sustain that is deep and clear in tone, that plays evenly over the entire fingerboard. 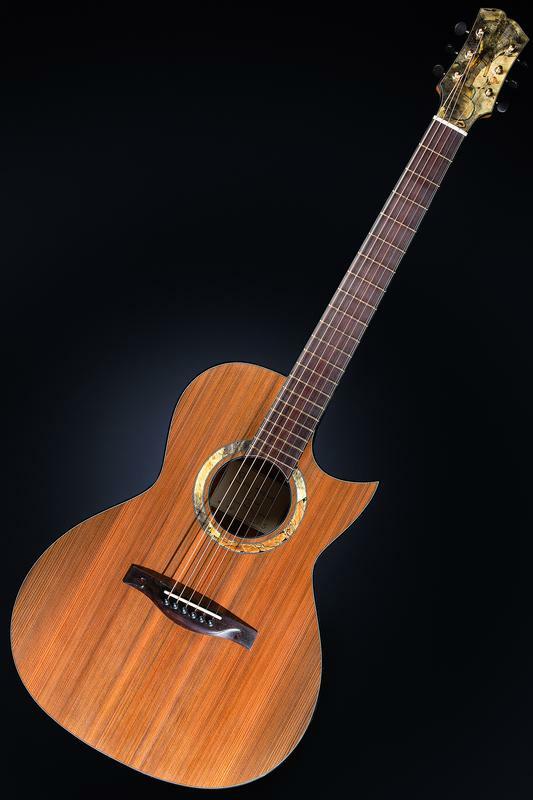 ~ Tops : Master grade Spruce, redwood or cedar. Individually voiced. ~ Rosette : One of a kind Mosaic ring in wood and shell. Enquire for custom designs. ~ Back & Sides: Indian Rosewood, Honduran Mahogany, Wenge, Maple. Exotic incur upcharge. ~ Bindings: Ebony, Cocobolo, Rosewood, Curly Maple, or Curly Koa throughout. ~ Purflings : BWB mitered with binding throughout. 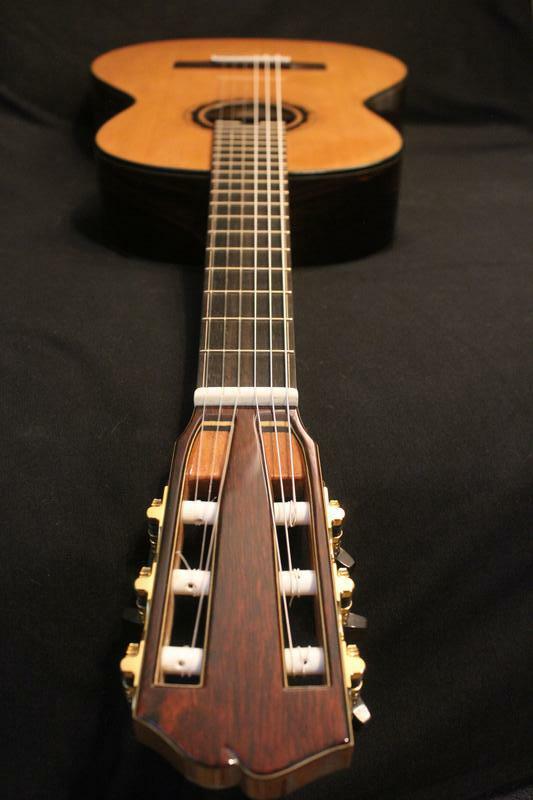 ~ Bridge : Rosewood, African blackwood or Ebony. ~ Truss rod is double action with 2 carbon fiber reinforcements. ~ 12 or 14 frets to body. ~ Nut width: 1 3/4" or custom. ~ Width at 12th fret and bridge spacing 2 1/4" or custom. 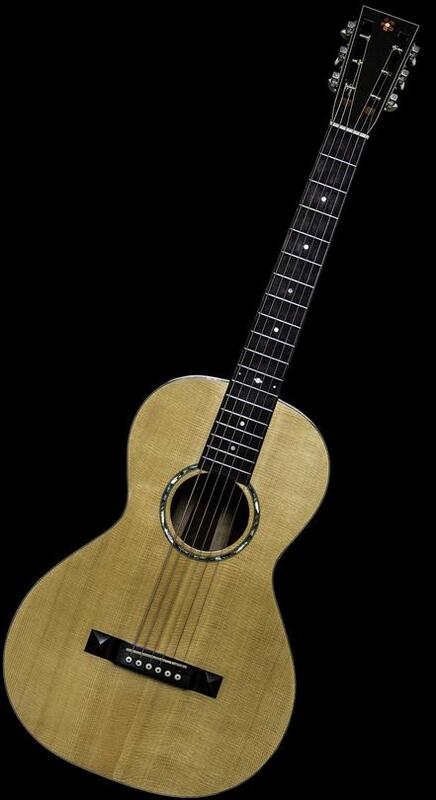 ~ Fingerboard : Rosewood, African Blackwood or Ebony. ~ Fingerboard radius: Choice of 16" or 20". ~ SemiHemiSpherical fret ends. Evo gold or Nickel. 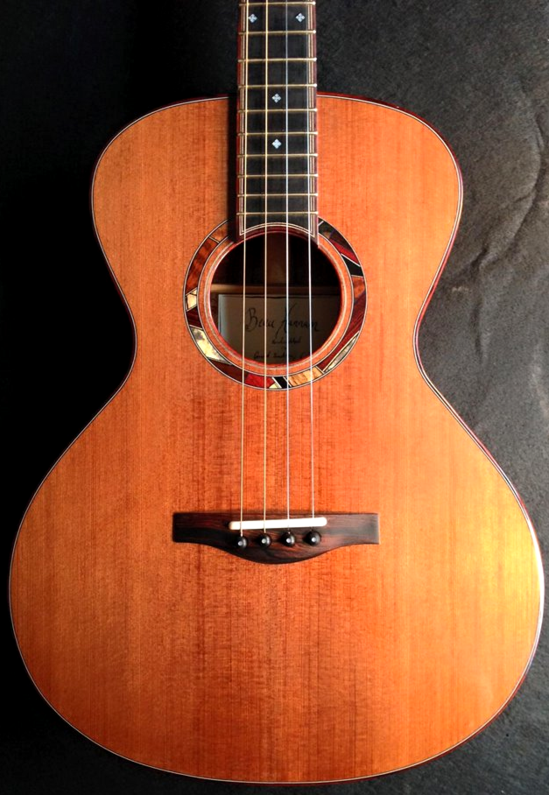 ~ Tuners: Waverly, or Gotoh 510's. 18:1 ratio. ~ Nut : Polished Bone, Black horn, Mother of Pearl or Fossilized Mastodon ivory. ~ End graft: Rectangle of binding material with purfling, all mitered. ~ Back strip: None, segmented or full length rectangle of matching binding material with purfling, all mitered. 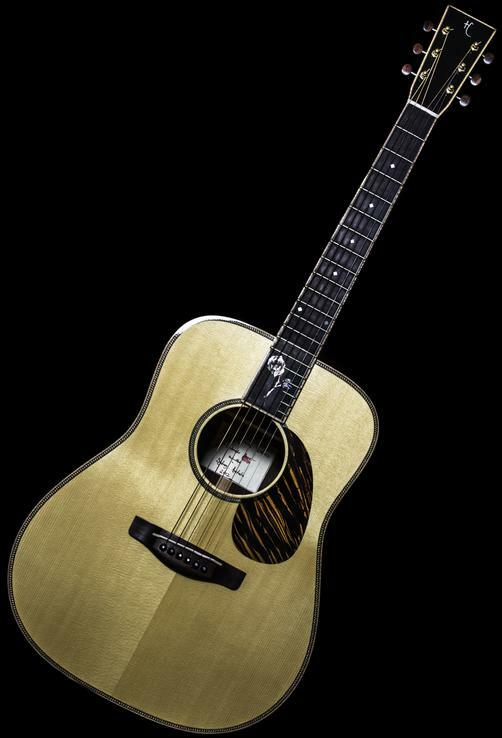 ~ Finest Instrument grade nitrocellulose lacquer in Gloss or Satin. Also, see finish. ​~ Hand written letter of materials.